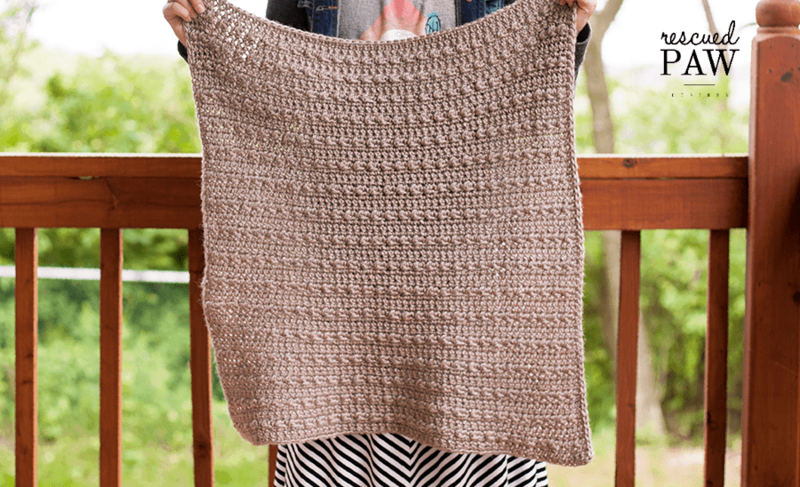 I love designing crochet blanket patterns like this Stoney Pebbles Crochet Baby Blanket! It really is my weakness! If you have ever checked out my crochet blanket section you will know what I mean! I can’t help myself! 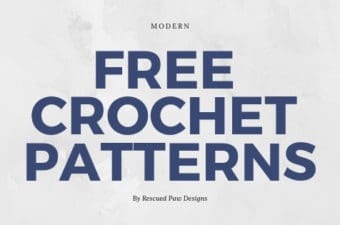 🙂 Read on down to find the full, FREE pattern! The main reason I love quick and easy crochet blanket patterns because I can work back and forth in a repetitive motion without much thought. Which means a huge project with minimal effort. That is my cup of tea! (Or coffee!) You have to think the same thing right? because it is extremely soft and comes in such beautiful earthy colors. I have used it to design some items in the past like my “Half & Half Boot Cuffs“ and “Here is Autumn Hat“ so I knew this yarn would be the perfect fit for a cozy baby blanket! Have you used it for anything? If not you should definitely give it a try! To finish up this fun blanket I did one row of single crochet’s along to the border to give it a clean finished look. Wallah! A finished baby blanket!This would be cute either as a baby girl crochet blanket or a baby boy crochet blanket! 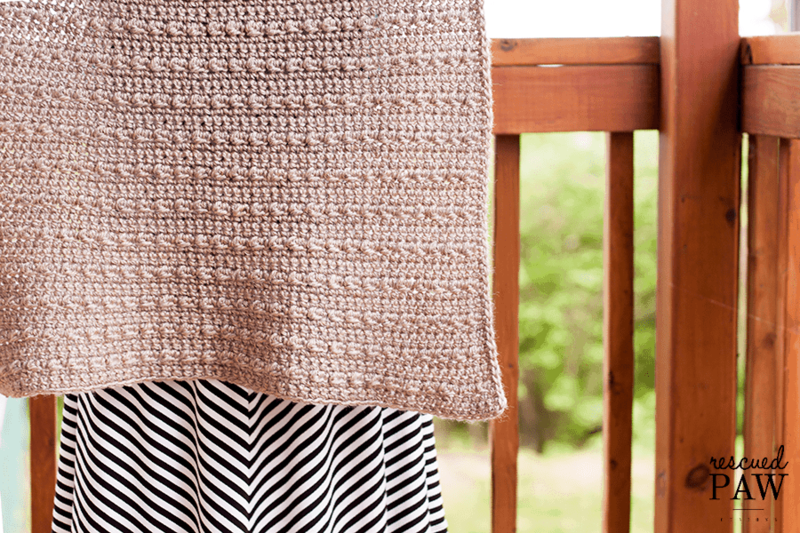 [clickToTweet tweet=”Make This Simple Crochet Baby Blanket Today! 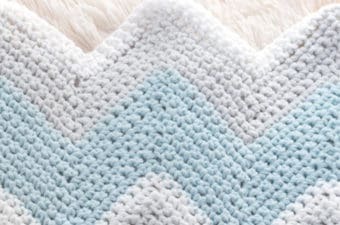 ” quote=”Make This Simple Crochet Baby Blanket Today! 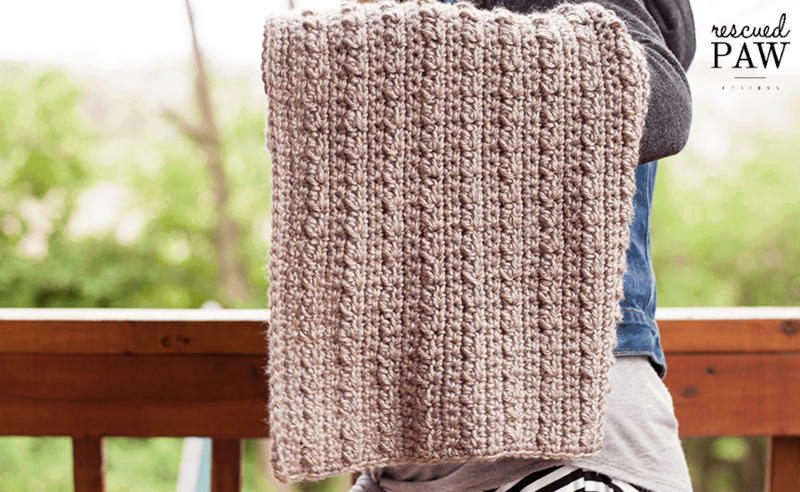 “] Now that you know what is needed for this blanket I think you will be ready to try out this blanket pattern! 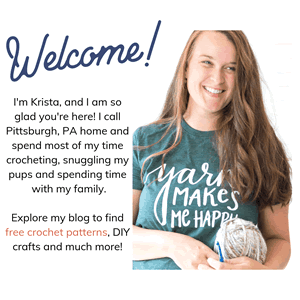 Ready to learn how to crochet a baby blanket? 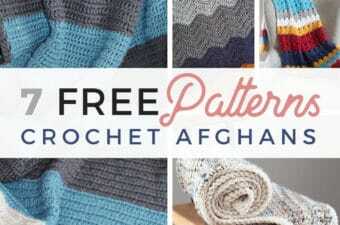 Scroll on down to find the full, FREE pattern or “Click Here” to at to Ravelry to make for later! Happy Crochet Baby Blanket making! 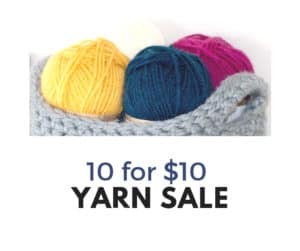 in the color way Grand Canyon or less than 500 yards of any worsted weight (4) yarn. 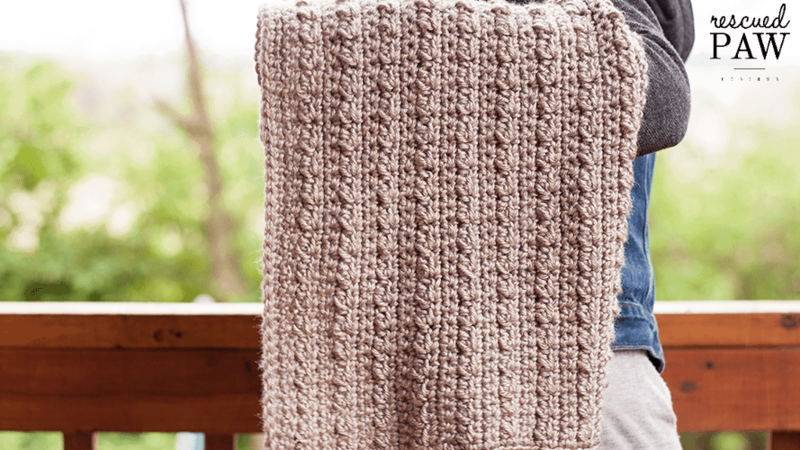 Want to make the blanket a different size? Just use an even number for your starting chain and work the rest of the pattern as written! Finished Size as written is approximately 22.5″ wide by 24″ height with single crochet border. “CLICK HERE” to add to Ravelry to save to make later. SELLING: YOU MAY SELL ITEMS MADE FROM PATTERNS ON RESCUED PAW DESIGNS UNLESS OTHERWISE STATED. IF YOU CHOOSE TO SELL ITEMS MADE FROM THIS PATTERN, PLEASE LINK BACK TO ME AT WWW.RESCUEDPAWDESIGNS.COM FOR CREDIT. PLEASE DO NOT USE MY PICTURES TO SELL YOUR ITEMS. IMAGES & CONTENT: THE IMAGES AND CONTENT OF RESCUEDPAWDESIGNS.COM ARE PROTECTED BY COPYRIGHT LAWS. DO NOT DISTRIBUTE OR COPY THE CONTENT WITHOUT WRITTEN PERMISSION. DO NOT EDIT OR REMOVE WATERMARKS FROM ANY ORIGINAL IMAGE FROM RESCUEDPAWDESIGNS.COM. IF YOU WOULD LIKE TO SHARE AN IMAGE, PLEASE ONLY USE 1 WITH A LINK BACK TO RPD. THANK YOU FOR RESPECTING MY WORK. Fasten off yarn after last row and weave in loose ends throughout with a yarn needle. If you wish to do a border like I have shown don’t fasten off yarn and do a simple sc border along the outside border of the blanket working the sc evenly along. Make sure to do 3 sc’s in each corner st to get a clean finished look. 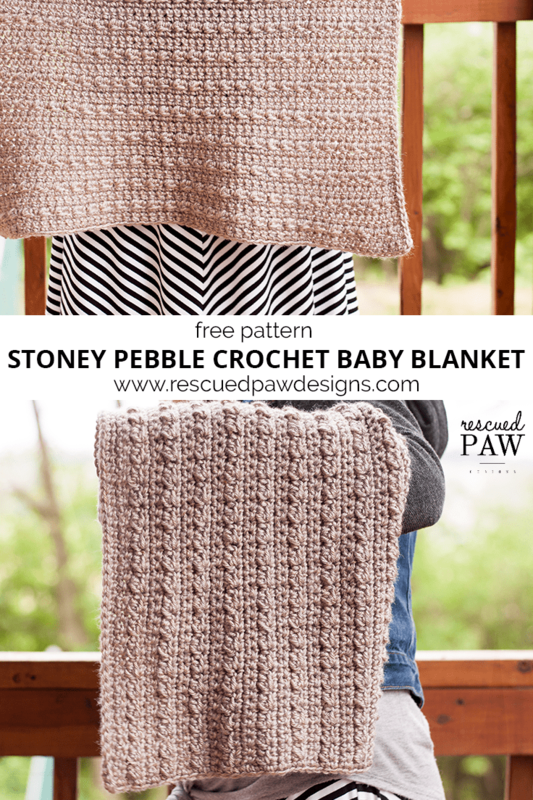 Now that you have finished up the Stoney Pebbles Crochet Baby Blanket you may also enjoy some of these other free crochet blanket patterns that can be found below! 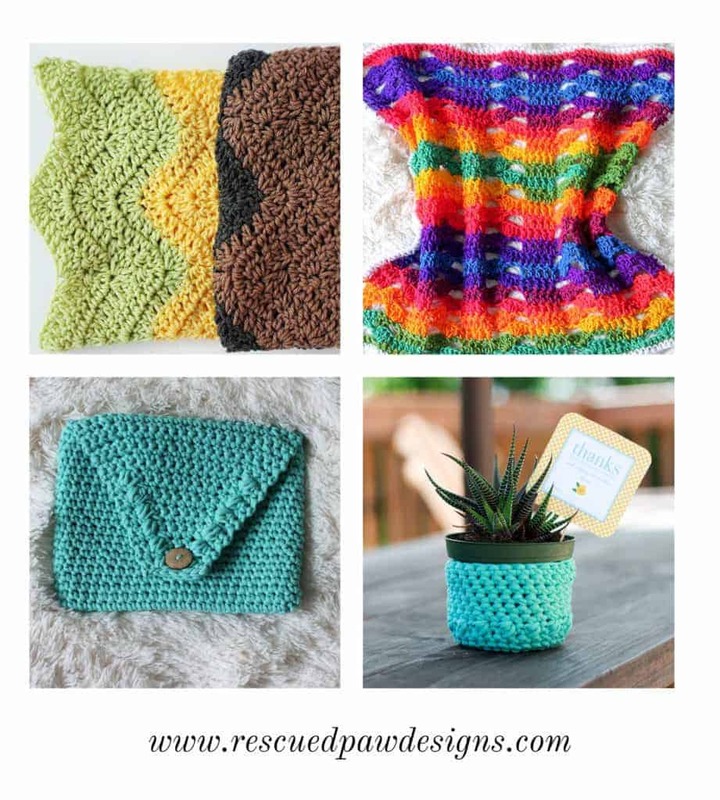 I hope you enjoyed the Stoney Pebbles Crochet Baby Blanket and if you have any questions, please be sure to ask by contacting me at [email protected] and I’d be glad to help. Want even more crochet baby blanket patterns for beginners? Check out my crochet blanket archive “Here“.